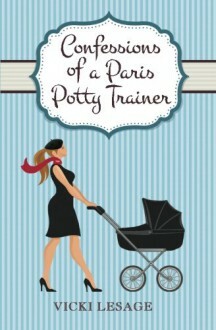 Diapers, tantrums, and French bureaucracy - the crazy life of an American mom in Paris. Former party girl Vicki trades wine bottles for baby bottles, as this sassy mommy of two navigates the beautiful, yet infuriating, city of Paris. How does she steer a stroller around piles of dog poop? Or find time for French administration between breastfeeding and business meetings? And will she ever lose the baby weight with croissants staring at her from every street corner? This hilarious memoir will have you laughing, crying, and wiping up drool right alongside Vicki as she and her ever-patient French husband raise two children in the City of Light. Read about Vicki's crazy Paris debut in Confessions of a Paris Party Girl.